Mine went something like this with my tank which was basically just finished cycling with minimal corals and fish at the time, my starting nitrates and phosphate were also super low as well. So your journey might be different if you are starting a scrubber on an established tank with high nutrients. i dont know what im doing wrong but im not getting anywhere close to what you are getting im at week 9 or 10. my no3 is at 15 and my po4 is at 0.10 also running 18/6. 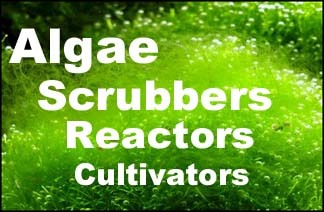 I went and read you thread on your journey with the Algae Scrubber. From what I can tell, basically yours is still only growing brown algae. The thing with the brown stuff is that it 'lets go' from the screen much quicker than green turf style algae, so you need to clean it off, otherwise it just re-pollutes your tank with the nutrients it used to grow, maybe every 4-6 days, check it regularly to get a feel for it. You will need to keep doing this until green algae takes hold. For me it happened at about the week 4 point. Once green algae takes hold it will dominate the screen and you wont have anymore problems. Just keep at it. Clean off the brown, hope for green. Check you have sufficient flow to cover the whole screen but nothing crazy high pressure or anything. Don't do anything crazy with your lights (you have the rain4 i believe?) run them on a regular cycle like 12-16 hours or so, and maybe dont even run all of them, until you start seeing green. Your nutrients are in a range most reefers would classify as 'fine', so dont panic. no i have the rain 2 not the 4. so whe i clean it every 4-6 days i should clean spotless or not? and why shouldn't i run 18 hours is it not good? I wouldn't say spotless, your not trying to sterilize it.... just give it a light scrub.... the purpose is to remove the bulk of the buildup of brown algae which if left would fall off anyway back into your tank. Yea that is mostly slime algae, lightly brush it off. Maybe take a short video of it for a few seconds, and get SantaMonica's opinion on your flow rate.... I find it weird that you have that bit of water shooting out in the top photo? When i brush it nothing comes off its like hard to take off, it will only come off when i use a card. here is a video of my flow lmk what you think, and how do i tag SantaMonica here? Are you running ur lights opposite DT??? Because im running it along with the DT thinking it will outcompete the DT???? Yea that is not optimal... switch it to run at night when your display lights are off. There are a few benefits to this including stablising your PH. Your theory on out-competing the DT doesn't work 'in real time' like your thinking... it works more holistically over an entire day/night cycle and weekly cycle as you clean it and remove nutrients from the tank. My Algae scrubber runs from ~ 1 hours before my main lights turn off at night to well into the next morning for total 16 hour photo-period. I could actually run a lower photo-period if i wanted at my nutrients are super low. Only reason I haven't adjusted it yet is I try not to make too many changes to the tank at one time and I just added T5's last month.